To get your free ticket, use our 19TICKET428 code when registering! Solar Solution is the main event linked to renewable energy in Northern Europe. Trienergia will present the MWT Backcontact modules. 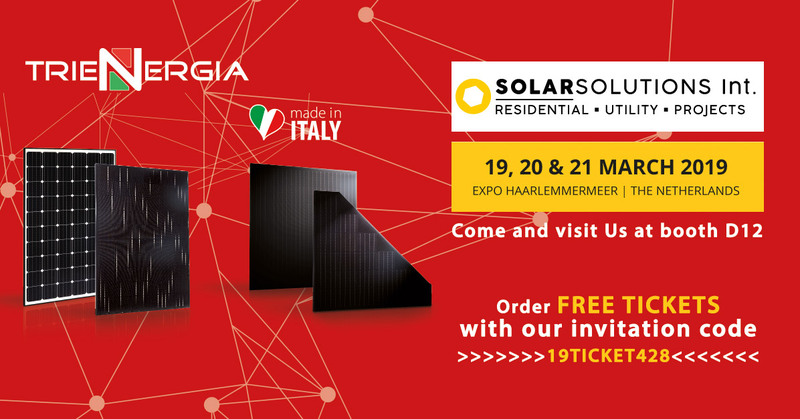 We are waiting for you at Stand D12 To get your free ticket, use our 19TICKET428 code when registering!